Located in Estates at Wekiva Park - this immaculately maintained 4 bedroom pool home perfectly sits on a tucked away Culdesac. Driving up a paver stone driveway guides you to a side placed 3 car garage. Stepping inside this executive style home you notice numerous inspiring details such as high ceilings, 8ft int doors, crown molding, tray ceilings, and plantation shutters. The formal dining and living room share the spacious front room and tranquil views of the pool and lawn behind. Access your office through french doors right off the front door. The gourmet kitchen is truly the heart of this home â finished with granite, solid wood cabinets, double ovens, built in microwave, a breakfast bar, pantry area with wine storage, and a beverage cooler. Off the kitchen, you have a casual dining area and an enormous signature great room. The bedrooms are triple split for ultimate privacy â the master suite occupies the entire east end of the home and feat his/ hers closets with ensuite bathroom. Bedrooms 2, 3 and 4 are all spacious with large closets and ceiling fans and could easily fit a king size bed with ample room. Outside you find an oversized screen enclosed pool and patio deck space. You have peace of mind with a durable tile roof, water treatment system, as well as active termite bond. 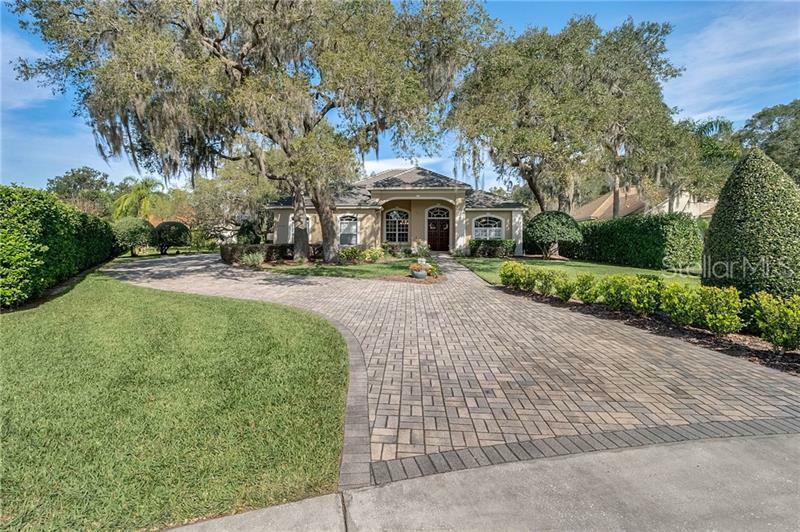 Estates at Wekiva Park provides tennis, playground & walking path to Wilson's Landing Park. Easy access to I-4, SR417 & SR429 extension. Donât miss your chance to make this, your next home!